Depending on the Dungeons and Dragons campaign you’re playing, you may not use the mounted combat rules very frequently. I mean, who would bring their faithful steed into a dungeon full of traps, vicious monsters, and cramped spaces? Adventurers, that’s who. To be fair, like underwater combat, mounted combat provides a new way to create encounters. It adds a few new mechanics into the mix and keeps things fresh while still being sensible. Essentially, mounted combat is pretty much what you’d expect it to be. The mounted character or creature gains additional movement speed but at the cost of losing some of their freedom to move and having to control an animal in the heat of battle. It’s a trade-off, but typically it’s one that gives a mounted creature the upper-hand over an unmounted creature. You can find the mounted combat rules for D&D 5e on page 198 of the Player’s Handbook. With that said and done, let’s saddle up and take a closer look at fighting with a four-legged (or winged) friend! Mounts are one of the best ways to get from point A to point B. They have plenty of uses in combat too! Art by Sandara. Click this link for a Spanish translation of this article done by DigitalD20! 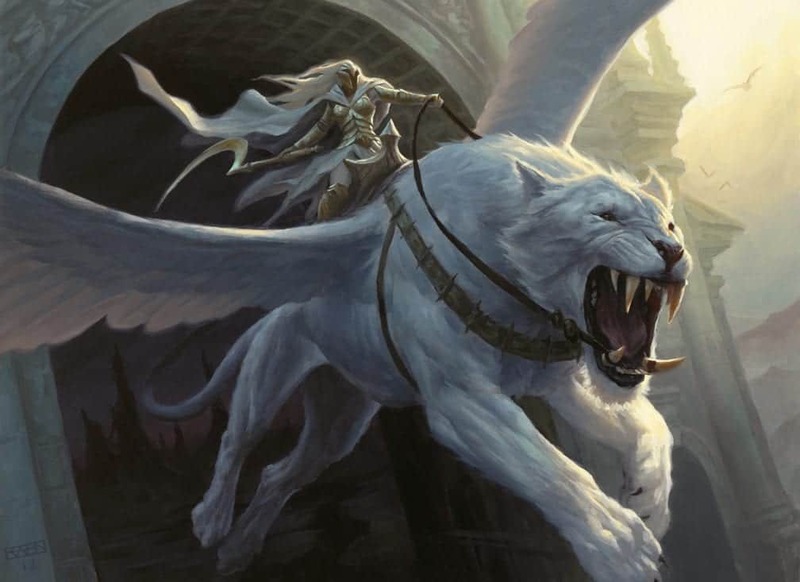 What is a Mount in 5th Edition? A mount is simply a willing creature that is at least one size larger than you that has the appropriate anatomy to serve as a mount. The creature doesn’t have to be domesticated, they just have to be ok with you riding them. Typically mounts would not be bipedal creatures. It doesn’t make a lot of sense since they’re not usually anatomically built for carrying creatures in this way. They also most likely wouldn’t be much quicker than your average walking speed so there isn’t typically a huge benefit to mount this type of creature. 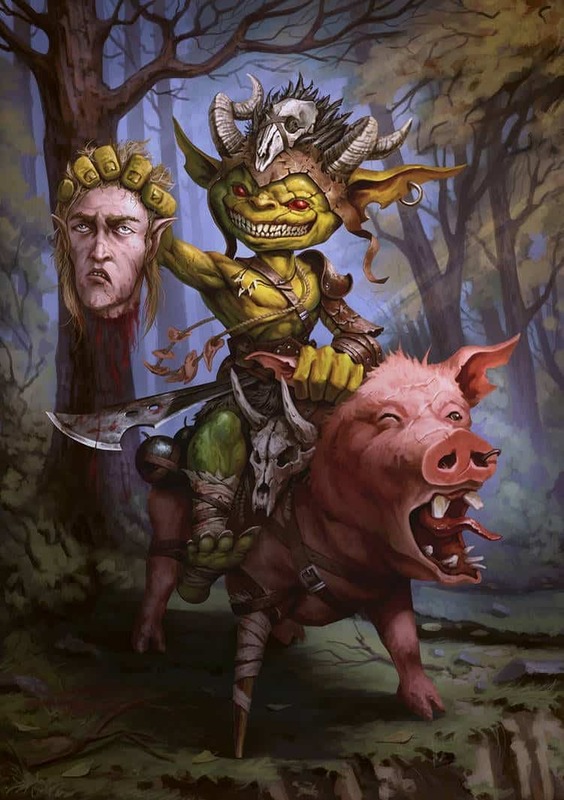 But then again, you bipedal have creatures that can act like mounts like the ogre howdah which carries up to 4 goblins on its back in a makeshift wooden fort. I suppose it does have the anatomy to carry small creatures on their shoulders, but it’s certainly not what you’d consider a conventional mount. Most mounts are going to be creatures that stand on at least 4 legs and have horse-like bodies. Flying creatures can also be mounted given that they fit the size, willingness, and anatomical ability to carry a creature criteria. 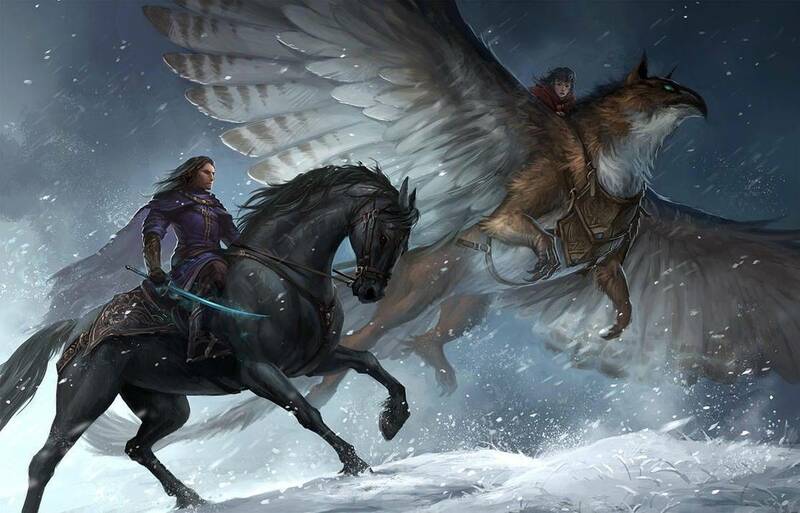 For example, griffons, pegasi, or dragons are typical fantasy flying steeds. Mount classification rules are more of a “is this possible” ruling from your DM than any sort of concrete ruling. Mounting and dismounting are done in combat by using your movement. You can mount a creature within 5 ft. of you using an amount of movement that is half of your speed. For 30 ft. speed creatures this would take you 15 ft. of movement. If you do not have at least half of your movement remaining then you cannot mount a creature this turn. This means that you can travel to a creature and then mount it on your turn, but you can only do so if half of your movement is remaining once you are within 5 ft. of your potential steed. Dismounting from your steed also requires half of your speed to do. This typically will make it unwise to dismount in the middle of combat, but of course, there are always times when you may need to. A mount with a mind of their own can be a dangerous partner in a combat encounter! For the record, you can only mount or dismount once per turn so choose wisely. Any effect that will move your mount against their will while you’re mounted requires you to make a DC 10 Dexterity saving throw. Failing this saving throw will toss you off the mount and you will land prone within 5 feet of your mount. This saving throw will also be called for if you are knocked prone while mounted. Again, if you fail the save you’ll be tossed off and land prone within 5 feet of your mount. Being knocked prone is itself a hassle in the middle of a combat encounter, but now you’ll have to deal with corralling a riderless horse which just adds one more problem onto your plate. Be careful of targets that can displace you or your mount while in mounted combat. They’re pretty major counters to mounted combatants. 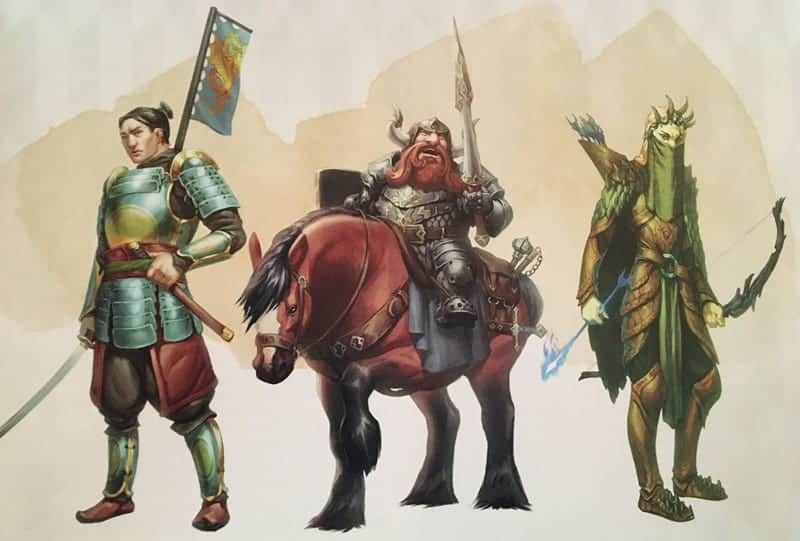 Mounts are not limited to the creatures listed in the mounted combat section of the PHB. Art by WotC. If your mount is knocked prone you can use a reaction to dismount as your mount is falling. If you don’t use a reaction to dismount, you will fall prone in a space within 5 feet of your mount. All-in-all, avoiding being thrown off and knocked prone isn’t terribly difficult. Especially when we consider the movement speed increases you gain from riding a mount. The only real playstyle change that you may want to consider during mounted combat is to be a bit more conservative with your reaction. If the enemy has a reliable way to impose the prone status effect on your mount then you’re definitely going to want to have a reaction handy. While you are riding your mount you benefit from their movement speed and any other additional benefits that the mounted creature may provide. Some creatures may require a saddle or other equipment in order to ride them for prolonged periods of time, but that’s left up to your DM’s discretion. When you’re mounted you can opt to control your mount yourself, or permit your mount act independently. There are pros and cons for both of these options depending on the situation that you’re in. You can control your steed in mounted combat as long as they have been trained to accept a rider. This is typically reserved for standard mounts such as horses, donkeys, and riding dogs. 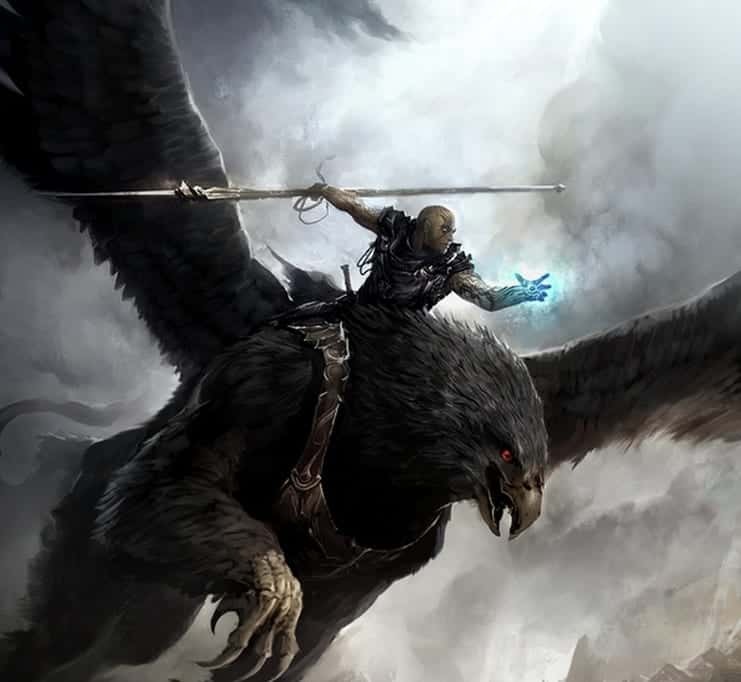 Although it could be extended to fantasy creatures like griffons depending on the setting. When you control a creature, they act on the same initiative as you. The creature will move as you order it, but they can only take the Dash, Disengage, or Dodge actions in addition to their action. It’s pretty straight-forward what benefits you’d gain from riding a creature, but let’s break-down the specifics using a riding horse as an example. A riding horse has a speed of 60 ft. and it can take a Dash, Disengage, or Dodge action without using any of your character’s action economy. This means that you can travel up to 120 ft. per turn when ordering your horse to take the Dash action. This is roughly 4x the amount of movement an average PC would be able to move in a single turn while using none of their own movement. When acting independently, mounts will get their own turn in the initiative order. These creatures will then make their own decisions based on their instinct and intelligence. For example, some creatures may opt to aid you and your allies in combat while others may run off. Intelligent creatures such as a dragon or a pegasus will always act independently. They have free will and the intelligence to make their own decisions. That being said, you may be able to influence their decisions depending on your bond with the creature and other factors. You being mounted on them makes no difference to their free will in mounted combat. They will always make their own decisions. Unintelligent mounts can be allowed to act independently. Whether that’s a good idea or not is up to you. Creatures that have been dismounted will always act independently unless there is another way to control them. There are many ways that you can form a strong bond with your mount. For instance, feeding them the flesh of your enemies. Art by AnarchicFox. Being dismounted and knocked prone is already a reason to be careful when engaging in mounted combat. Tack opportunity attacks onto the list of “additional dangers of mounted combat”. If your mount provokes an opportunity attack the creature can target either the mount or you. This is a lose-lose situation. First of all, mounts aren’t cheap, losing one is bad for your wallet. Secondly, if your mount is slain you are effectively slower in combat and afterwards if you’re traveling to a destination. Mounts are also larger creatures than you. It’s much easier for them to provoke opportunity attacks compared to a medium creature because of their size. That being said, mounts are able to take the Disengage action at no cost to you. This is a pretty big benefit and should mean that you won’t experience too many opportunity attacks if you’re a careful rider! Does mounted combat sound like a fun time to you? Well, here are a few things that can help you become even better at mounted combat! Most of these options are class-specific, but the Mounted Combatant feat is available to anyone who wishes to take it. That being said, you do not need to take any of these options to be adept at mounted combat. Any character is capable of riding and fighting while mounted. Look no further than pages 30-31 of Xanathar’s Guide to Everything if mounted combat sounds like the greatest thing in the world and you want a character that has mastered the art of the horse. The Cavalier is a class designed around the flavor of being a superior mounted combatant. For example, as soon as you take this archetype at level 3 you gain the Born to the Saddle ability. This means that you will both land on your feet if you fall off your mount and you can mount or dismount a creature using only 5 feet of movement. This feature effectively takes away most of the negatives of mounted combat. It also makes you even more mobile. You can now ride your steed towards an opponent, dismount, and then travel your max speed – 5 ft. towards your target. Cavalier is the best archetype. Look how much happier he is! Art by WotC. Another 3rd level feature, Unwavering Mark, helps to carve out the archetype’s tanking specialty. This mark imposes disadvantage on a creature’s attacks made at anyone other than you. If the creature happens to damage someone else, you can use a bonus action to attack them with increased damage. Their 7th level feature, Warding Maneuver, grants you the ability to use your reaction to increase the AC of a creature within 5 ft. of you by 1d8. This could be an ally, or it could be your mount. Keeping your steed alive at the cost of a reaction is an excellent investment. The class’ other features – Hold the Line, Ferocious Charger, and Vigilant Defender – focus more on the flavor of locking down opponents’ movement speed additional ways to use your reactions to make opportunity attacks. The archetype as a whole makes great use of your reaction! For the record, the Cavalier is just as viable when they are fighting off of their mount. They are not reliant on mounted combat to make them a viable option for a character. In fact, the only feature that requires a mount to use is Born to the Saddle. Every other feature works as well off of a horse as it does on your horse! -Pg 168 of the PHB. This is, understandably, a pretty niche feat for most campaigns. That being said, if you’ve found yourself in a campaign where you’re frequently engaged in combat out in the open and you have a trusty steed this may be the feat for you. Depending on the size of your mount you may have advantage on many of your melee attacks or the overwhelming majority. This is still a solid benefit even if you’re riding a large size horse. Though smaller creatures like halflings riding dogs won’t see nearly as much mileage out of this benefit. The next two benefits that the feat grants are the real meat and potatoes of the feat in my opinion. Generally speaking, your mount is a pretty easy target. Horses and other creatures tend to have low AC and much lower hit points than their rider. It’s easy for your enemies to kill your steed and knock you prone to get a few extra hits on you. Being able to redirect these attacks against your mount prolongs its life and in a way, prolongs yours. As I said, you can generally take more hits than your mount and your enemies are less likely to hit through your stronger armor anyways! Also, you give your mount the monk and rogue class feature, Evasion. Find Steed is a paladin spell that summons a spirit in the form of an intelligent steed. The paladin and the steed are immediately bonded, and the steed can take whatever form you choose (given that your DM allows it). This steed has the same statistics as its statblock, but if its normal Intelligence is less than 6 it will instead become 6. The best part about Find Steed is that any spell you cast that normally only targets yourself will also target your steed. Honestly, it’s sort of like a familiar, but for paladins. They get their own intelligent companion that can fight alongside them and provide them with some utility. Phantom Steed allows you to summon a “large, quasi-real, horselike creature” that will allow the wizard or a creature the wizard chooses to ride it. It’s an odd spell choice for a wizard, but it’s also a ritual spell. Plus, it doesn’t require any material components so it’s cheap. It’s a nice, no-risk situational spell. Unlike Find Steed there is a time limit of 1 hour on this spectral creature. But it’s still a great way to procure a rental horse without needing to think about the logistics of keeping a horse around. Spellcasters can also benefit from mounted combat. More mobility is always awesome! Art by Richard Lee Byers. You can also ride a druid into battle provided that they’ve Wild Shaped into a mountable creature that is at least one size larger than you. Well, provided that your druid friend is a willing mount. Since the druid is an intelligent creature, they’ll retain their own turn in the initiative order and act at their own discretion. Basically, if you’re going to perform a riding bear combo, make sure that your druid buddy enjoys your company and isn’t going to literally feed you to the wolves. Like Phantom Steed and Find Steed, this is a cheap option to provide a mount for a PC. Wild Shape is actually a bit more efficient since it will effectively count as a mount for two players. Though be wary, druids only get a limited amount of uses of Wild Shape between short rests! If you’re looking for a list of Wild Shape options check out ThinkDM’s Wilshape Options Table! I had intended to take a small break from writing about 5e mechanics as I’d felt that I’ve written a lot of articles on the subject in such a short span of time. But then one of my players brought up playing a sheep-riding halfling cavalier. Needless to say, It was a good opportunity to refresh myself on the mounted combat rules as they don’t come up frequently in most of the games I play. However, I really enjoy these rules as well as the Underwater Combat Rules and I’m making an effort to design more dynamic encounters using both these unique combat situations. Mounted combat is just one way you and your druid friend can make a fun combat combo. It’s also a great way to maneuver around in open spaces to strike down a slower or heavily-fortified enemy. Sometimes the best way to avoid artillery is to charge straight at it.